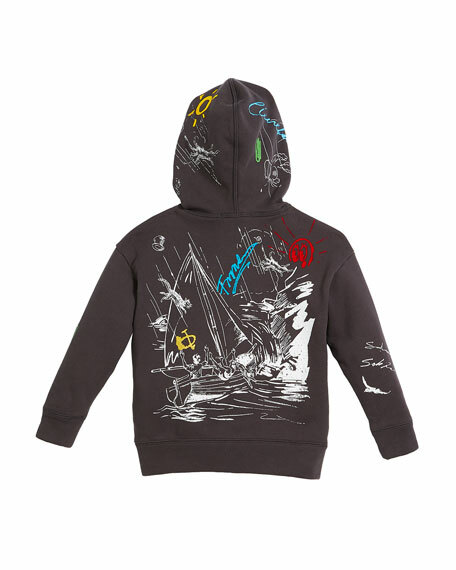 Burberry jacket in sailing scribble print. 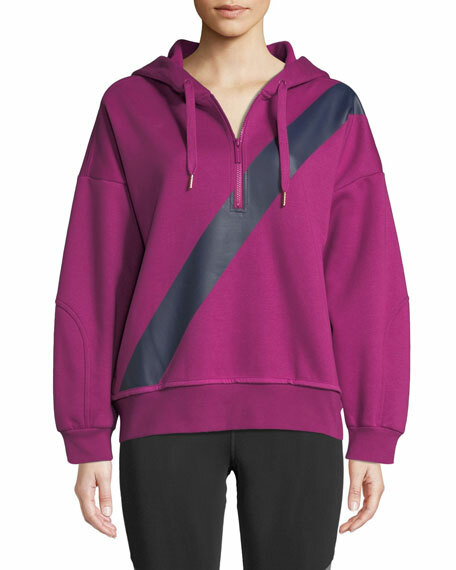 For in-store inquiries, use sku #2518886.
adidas by Stella McCartney active hoodie. 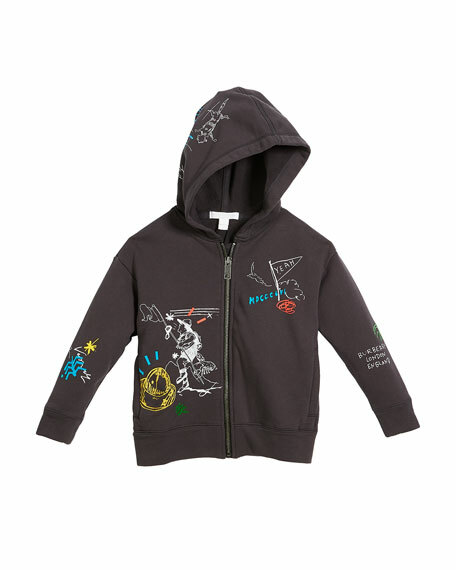 Hooded neckline; two-way zip front. Long sleeves; strap details. Side slip pockets. Relaxed fit. Logo print at sides. Below hip length. Cotton/recycled polyester. Imported. 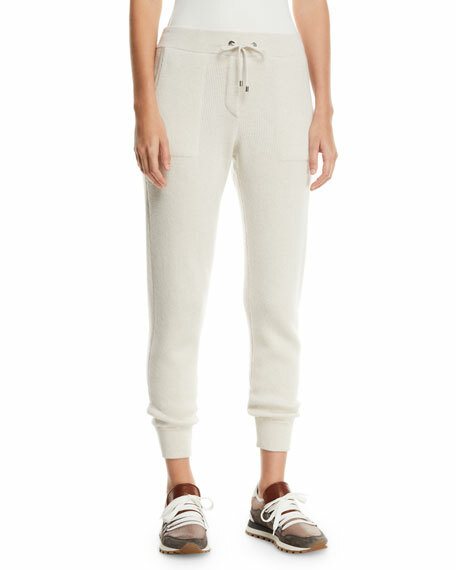 Brunello Cucinelli jogger pants in cashmere. Drawstring waistband. Monili-trimmed side slip pockets. Relaxed, tapered fit through legs. Banded cuffs. Cropped above ankles. Cotton/spandex. Made in Italy.